Chinese Academy of Sciences, 1994. A fundamental question in Genetics and Neuroscience is how the brain executes genetic programs while maintaining the ability to adapt to the environment. The underlying molecular mechanisms are not well understood, but epigenetic regulation, mediated by DNA methylation and chromatin organization, provides an intricate platform bridging genetics and the environment, and allows for the integration of intrinsic and environmental signals into the genome and subsequent translation of the genome into stable yet adaptive functions in the brain. Impaired epigenetic regulation has been implicated in many neurodevelopmental and neuropsychiatric disorders. 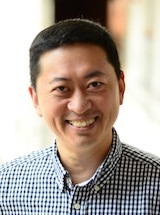 The Zhou laboratory is interested in understanding the epigenetic mechanisms that integrate environmental factors with genetic code to govern brain development and function, elucidating the pathophysiology of specific neurodevelopmental disorders with known genetic causes such as Rett syndrome and CDKL5 deficiency, and illuminating the pathogenesis of selective neuropsychiatric disorders with complex genetic traits such as autism and major depression. We use a variety of cutting-edge genomic technologies, together with cellular and physiological assays in genetically modified mice, to pursue our interests. We aim to ultimately translate our findings into therapeutic development to improve the treatment for neurodevelopmental and neuropsychiatric disorders. The genetic underpinnings of neuropsychiatric disorders are highly complex, involving multifaceted interactions between risk genes and the environment. It is known that environmental factors such as adverse early life events or chronic traumatic experience confer significantly greater susceptibility to psychiatric conditions later in life. However, the pathogenic mechanisms by which environmental factors interact with genetic programs in the nervous system to trigger psychiatric illness remain poorly understood. Thus, we have developed novel genetically modified mice, and plan to employ the next-generation sequencing and single cell sequencing technologies to identify the stress-induced epigenetic modifications from neuronal cell types of interest, to employ CRISPR-mediated genomic and epigenomic editing techniques to evaluate the causal relationship between stress-induced epigenetic changes and maladaptive behaviors, and to elucidate the key signaling pathways that mediate gene-environment interactions in the brain. Rett Syndrome (RTT) is a neurodevelopmental disorder characterized by developmental regression, motor dysfunction, and cognitive deficits. The majority of RTT cases are associated with mutations on an X-linked gene encoding MeCP2, a methyl-CpG binding protein involved in organizing chromatin and modulating gene expression. To understand the molecular pathogenesis of RTT, we have developed mouse models recapitulating RTT-associated mutations. We found that mice with RTT-associated missense mutations, such as R106W, T158M and T158A, develop RTT-like phenotypes and show deficits in neural circuitry. These mutations decrease the binding of MeCP2 to methylated DNA and concomitantly reduce MeCP2 protein stability, leading to gene expression and cellular morphological changes in a neuronal cell type-specific manner (Ref). We aim to define the role of methyl-DNA binding of MeCP2 in protein stability, delineate the cellular origin of impaired neural circuitry, and elucidate the mechanisms by which MeCP2 modulates neuronal cell-type specific function. CDKL5 deficiency is a disorder caused by genetic defects in the the X-linked gene encoding cyclin-dependent kinase-like 5 (CDKL5). Patients with CDKL5 dysfunction show early onset intractable seizures and severe neurodevelopmental impairment, and are frequently diagnosed with a number of disorders including Infantile Spasms, West Syndrome, Lennox-Gastaut, atypical Rett Syndrome, and autism. To gain insight into the pathogenic mechanisms underlying CDKL5-related disorders, we have developed mouse models in which the CDKL5 gene is ablated or modified. We found that loss of functional CDKL5 disrupts multiple signal transduction pathways, impairs hippocampal event-related potentials, and leads to autistic-like phenotypes in mice. We plan to identify the molecular targets of CDKL5, dissect the signaling cascades responsible for cardinal autistic-like phenotypes, and investigate the neural mechanisms by which CDKL5 dysfunction leads to early onset seizures and cognitive deficits. Cytosine methylation (5mC), mostly at CpG dinucleotides in mammals, is a central epigenetic mark essential for development. While we can now profile genome-wide DNA methylation at single-base resolution (sequencing methylome), how the methylome is established and maintained, and how the cell interprets the methylome to affect gene expression and chromatin structure remain poorly understood. Moreover, recent studies have challenged the stability of the methylome in postmitotic neurons and have coupled changes in DNA methylation at specific loci to adaptive behaviors. We are interested in understanding how DNA methylation is coded and decoded genome-wide but with locus-specificity in neurons. Given the high abundance of hydroxymethylcytosine (5hmC) in the brain, we set up to address the functional significance of 5mC and 5hmC in neural development, the role of the methylome in the establishment of neuronal identity, and the molecular mechanisms by which the methylome modulates genome function in the brain. Goffin D, Allen M#, Zhang L#, Amorim M#, Wang IT#, Reyes A, Mercado-Berton A, Ong C, Cohen S, Hu L, Blendy JA, Carlson G, Siegel S, Greenberg ME and Zhou Z*: Rett syndrome mutation MeCP2 T158A disrupts DNA binding, protein stability and ERP responses. Nature Neuroscience 15(2): 274-283, 2012. Wang IT, Allen M, Goffin D, Zhu X, Fairless AH, Brodkin ES, Siegel SJ, Marsh ED, Blendy JA and Zhou Z*: Loss of CDKL5 disrupts kinome profile and event-related potentials leading to autistic-like phenotypes in mice. Proc Natl Acad Sci USA 109(52): 21516-21521, 2012. Goffin D, Brodkin ES, Blendy JA, Siegel SJ and Zhou Z*: Cellular origins of auditory event-related potential deficits in Rett syndrome. Nature Neuroscience 17(6): 804-806, 2014. Wood KH, Johnson BS, Welsh SA, Lee JY, Cui Y, Krizman E, Brodkin ES, Blendy JA, Robinson MB, Bartolomei MS and Zhou Z*: Tagging of Methyl-CpG-binding Domain Proteins Reveals Different Spatiotemporal Expression and Supports Distinct Functions. Epigenomics 4: 455-473, 2016. Fasolino M, Liu S, Wang Y and Zhou Z*: Distinct cellular and molecular environments support aging-related DNA methylation changes in the substantia nigra. Epigenomics 9(1): 21-31, 2017. Lamonica JM, Kwon DY, Goffin D, Fenik P, Johnson BS, Cui Y, Guo H, Veasey S and Zhou Z*: Elevating expression of MeCP2 T158M rescues DNA binding and Rett syndrome–like phenotypes. Journal of Clinical Investigation 127(5): 1889-1904, 2017. Kwon DY, Zhao YT, Lamonica JM and Zhou Z*: Locus-specific histone deacetylation using a synthetic CRISPR-Cas9-based HDAC. Nature Communications 8: 15315. doi: 10.1038/ncomms15315, 2017. Tang S, Wang I-T, Yue C, Takano H, Terzic B, Pance K, Lee JY, Cui Y, Coulter DA* and Zhou Z*: Loss of CDKL5 in glutamatergic neurons disrupts hippocampal microcircuitry and leads to memory impairment in mice. Journal of Neuroscience 37(31): 7420-7437, 2017. Johnson BS#, Zhao Y#, Fasolino M#, Lamonica JM, Kim YJ, Georgakilas G, Wood KH, Bu D, Cui Y, Goffin D, Vahedi G, Kim TH and Zhou Z*: Biotin tagging of MeCP2 in mice reveals contextual insights into the Rett syndrome transcriptome. Nature Medicine 23(10): 1203-1214, 2017. Hu P, Fabyanic E, Kwon DY, Tang S, Zhou Z, Wu H*: Dissecting Cell-Type Composition and Activity-Dependent Transcriptional State in Mammalian Brains by Massively Parallel Single-Nucleus RNA-Seq. Molecular Cell 68(5): 1006-1015, 2017. Zhao YT, Kwon DY, Johnson BS, Fasolino M, Lamonica JM, Kim YJ, Zhao BS, He C, Vahedi G, Kim TH and Zhou Z*: Long genes linked to autism spectrum disorders harbor broad enhancer-like chromatin domains. Genome Research 28(7): 933-942, 2018.